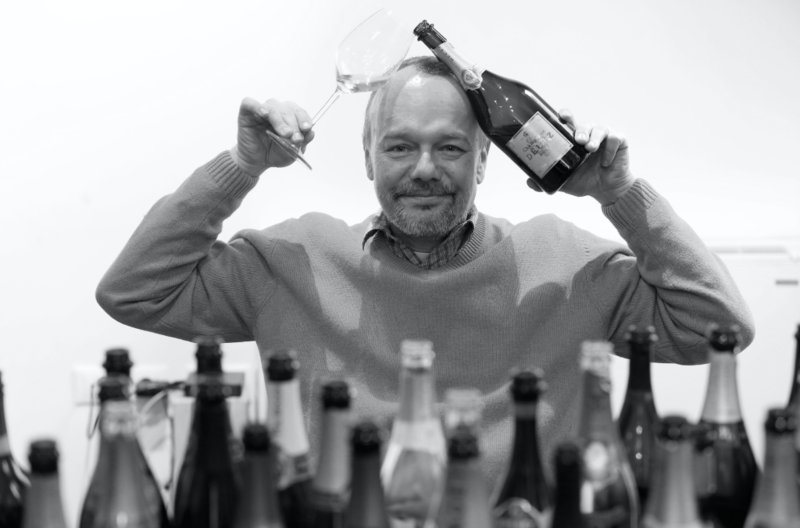 Bruno is a Slovene #winelover, wine & food writer, wine educator, organizer and passionate traveler. Despite the fact that he was not born in the countryside, he grew his interest in wine during his youth in the city and attending chemistry in high school, when the wine his father was buying (bulk) every autumn (sometimes in the spring) turned into vinegar. At his home with his parents, a glass of wine with the lunch and dinner was something just natural and part of the diet that he grew up with. He probably followed that interest when he decided his studies at the University of Ljubljana (Biotechnical faculty / Food technology at the Wine technology department). As a junior researcher he started his work on the same department after B. Sc. graduation. In 2006 he started to work for Family Estate Slovenia – an association of independent wine estates in Slovenia. Since 2012, as an individual entrepreneur, he’s still working for the Slovene association of independent winegrowers and also as a organizer of main wine events in Ljubljana. He’s a wine educator at a private college, regular freelance writer contributor for the main national wine magazines. An international wine judge, international wine fairs visitor and a lover of all wines. Especially – bubbles aficionado! Being a food technology-educated person and a real foodie J Bruno is often writing about the food as well about the wine. He’s very (sometimes even extremely) meticulous about the correctness of the information about food and wine that is provided to consumers – being the wine list in the restaurant or a simple ingredient’s list on the imported beer can. One of his missions in life is protecting local particularities in the food and wine field. Since its foundation years ago, Bruno is an integral part of the panel evaluating wines for the Wine Advisor section in the monthly magazine Dolce Vita. Looking for more information about Slovenia and its wines? Look no further… Bruno will be your guide! !